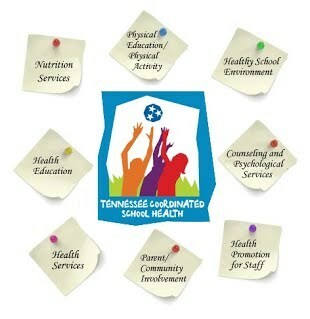 A planned, sequential, K-12 curriculum that addresses the physical, mental, emotional, and social dimensions of health. The curriculum is designed to motivate and assist students to maintain and improve their health, prevent disease, and reduce health-related risk behaviors. It allows students to develop and demonstrate increasingly sophisticated health-related knowledge, attitudes, skill, and practices. The health education curriculum includes a variety of topics such as personal health, family health, community health consumer health, environmental health, sexuality education, mental and emotional health, injury prevention and control of disease, and substance use and abuse. Qualified, trained teachers provide health education. A planned, sequential K-12 curriculum that provided cognitive content and learning experiences in a variety of activity areas such as basic movement skills; physical fitness; rhythms and dance; and aquatics. Quality physical education should promote, through a variety of planned physical activities, each student's optimum physical, mental, emotional, and social development, and should promote activities and sports that all student enjoy and can pursue throughout their lives. Qualified, trained teachers teach physical activity. Access to a variety of nutritious and appealing meals that accommodate the health and nutrition needs of all students. School Nutrition programs reflect the U.S. Dietary Guidelines for Americans and other criteria to achieve nutrition integrity. The school nutrition services offer students a learning laboratory for classroom nutrition and health education, and serve as a resource for linkages with nutrition-related community services. Qualified child nutrition professional provide theses services. Services provided to improve student's mental, emotional, and social health. These services include individual and group assessment, interventions, and referrals. Organizational assessment and consultation skills of counselors and psychologists contribute not only to the health of students but also to the health of the school environment. Professionals such as certified school counselors, psychologists, and social workers provide these services. An integrated school, parent, and community approach for enhancing the health and well-being of students. School health advisory council, coalitions, and broadly based constituencies for school health can build support for school health program efforts. Schools actively solicit parent involvement and engage community resources and services to respond more effectively to the health-related needs of students. Opportunities for school staff to improve their health status through activities such as health assessment, health education health-related fitness activities. These opportunities encourage school staff to pursue a healthy lifestyle that contributes to their improved health status, improved moral, and a greater personal commitment to the schools's overall coordinated health program. This personal commitment often transfers into greater commitment to the health of students and creates positive role modeling. Health Promotion activities have improved productivity, decreased absenteeism, and reduced health insurance costs. Children must be healthY to be educated and must be educated to be healthy.